School of Mechanical and automotive Engineering, Xiamen University of Technology, Xiamen, 361024, P.R. China. In order to reduce the impact of automotive exhaust systems on the vehicle vibration, finite element modal analyses of the exhaust system of a motor vehicle are conducted in its natural state, partially constraints state and fully constraints state. The natural frequencies and mode shapes of the exhaust system are obtained. The harmonic analysis is conducted on the basis of the modal analysis. The results show that: the vibration amplitude of the exhaust system at lowspeed operating condition is relatively bigger than that of the exhaust system in high-speed conditions. The excitation frequency of the engine at the idle and economy speed can avoid the natural frequency of the exhaust system, so it can be stated that the system has good dynamic characteristics. Suspension points on the exhaust system are optimized and the optimal mounting points are located based on the method of the average drive DOF displacement (ADDOFD). 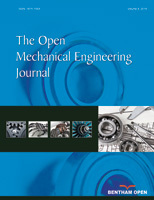 The study has practical significance for reducing the vibration of automobile exhaust systems and the vehicle.